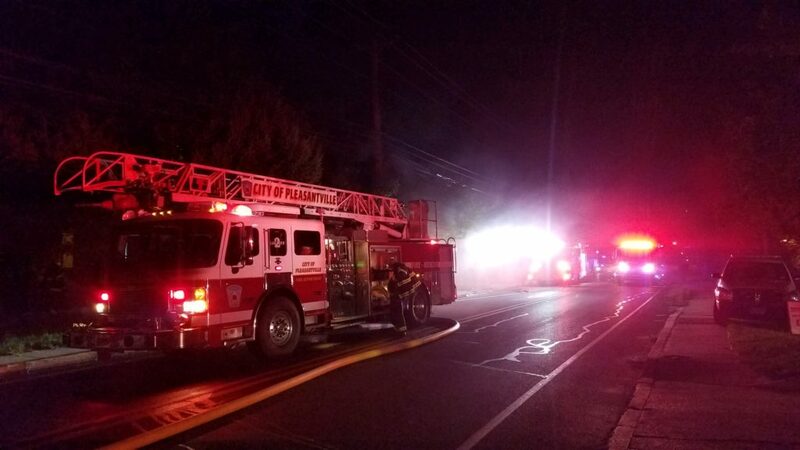 Firefighters were on the scene of a structure fire in Pleasantville on Saturday night. The fire happened before 11 p.m. in the 1300 block of South New Road. Patrol officers who smelled smoke and searched the area, police said. Pleasantville, Absecon, Northfield and Atlantic City International Airport fire departments were on scene.